The smallest orange and whose skin you can eat! 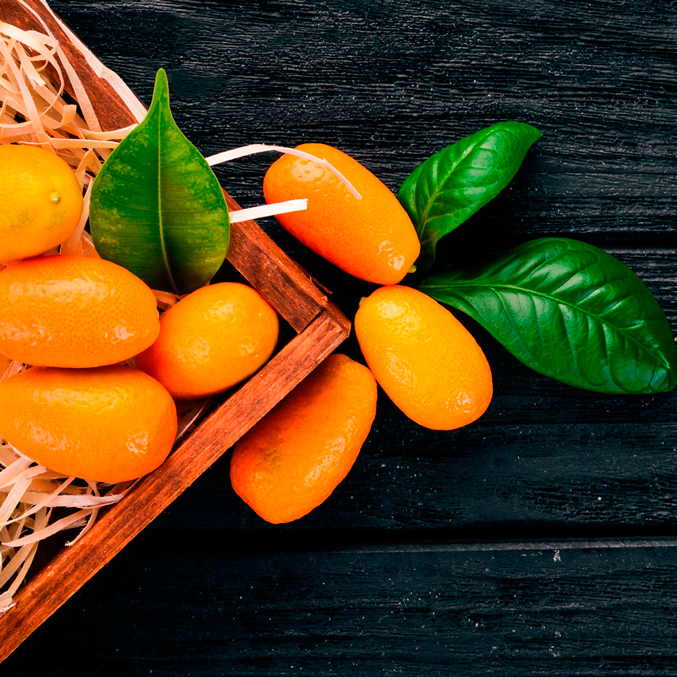 The kumquat, also called dwarf orange or Chinese orange, stands out for being the smallest citrus and the only one whose skin you must eat. Its flavor can draw a lot of attention from people who have never eaten it before, since while its skin has a slightly acid sweet taste, its pulp is somewhat more bitter. It can be eaten raw, it is used a lot in syrup or to make jams and it is perfect for cocktails, freezing them and using them as ice cubes. Transport costs: if you buy 1kg kumquats besides a citrus fruit box, the Kumquats transport costs will be free. In case you buy only 1kg kumquats without a box of citrus, the transport costs would be €16,00 per order.